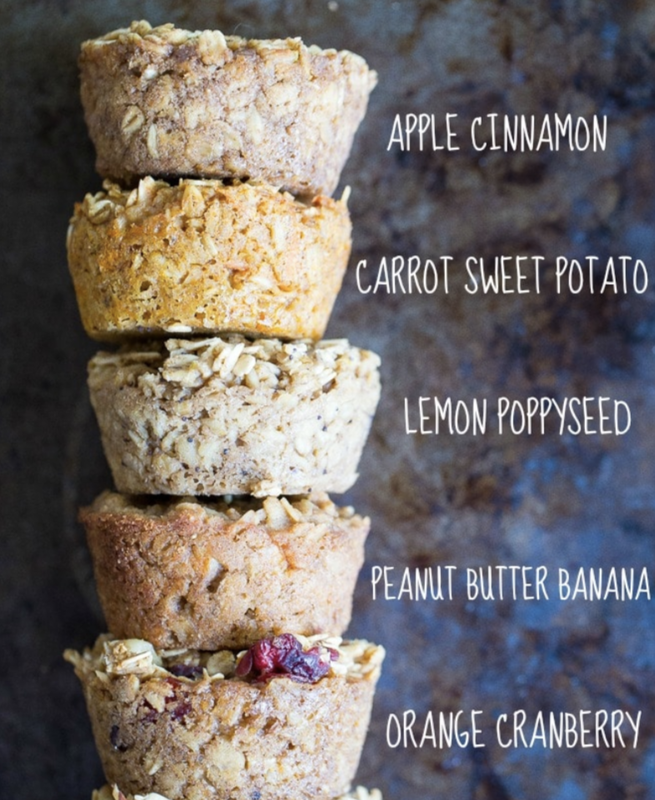 These muffins are healthy, easy to bake and VERY easy to eat. You can even freeze them and pop them in the toaster for a few minutes in the AM when you don’t have time to make breakfast - which is perfect if you’re like me and you’re constantly running out the door. I can’t take credit for this one. My friend pulled a couple out of the fridge a few months ago and I’ve become obsessed every since. I’ve also gotta be honest. This “recipe” is more of a science experiment. I’ve tried it with pumpkin filling, peanut butter, greek yogurt, walnuts, dried cranberries, chia seeds, sunflower seeds, etc. - essentially anything that’s in the “healthy” food section of my fridge and pantry. Sometimes it works, sometimes it could be slightly better. You do you and add what you like. Below are some ideas and of course a “recipe” with the basics and a few optional additions! In a large bowl combine oats, protein powder, baking powder, cinnamon, and other dry ingredients. In a separate bowl combine eggs, vanilla extract, cashew milk, and any other wet ingredients. Stir in bananas. Add wet ingredients to dry and stir to combine. I like to fold in any fruit or filling here. If I use a wet pureed filling, I’ll use less milk and if it’s too dry, I’ll add more milk. Don’t overthink the amount. When you know, you’ll know. Grease a muffin pan very well with coconut oil, butter, cooking spray or an oil of your choice. Stir in toppings of choice into each one. Sprinkle any seeds/nuts evenly across cups. Let cool for 20 minutes before removing to cool completely. Store in an airtight container on the counter for up to 5 days or freeze them**.